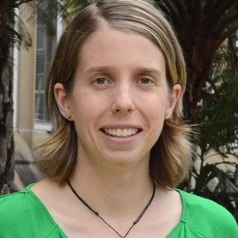 Erin Smith is a human geographer and Postdoctoral Research Fellow in the Sustainability Research Centre (SRC) at the University of the Sunshine Coast. Her work focuses upon delivering socioeconomic vulnerability assessments for natural resource management organisations in the context of climate change, its impacts and potential adaptation responses. She joined the SRC in February 2014 after previously working in the Social Research Team at AgResearch (Ruakura, New Zealand) and undertaking a PhD in Human Geography, School of Geosciences at The University of Sydney. In her PhD, Erin investigated the impact of the separation of land ownership and water access ownership upon the socioeconomic organisation of Australian farm enterprises. This research contributed toward filling an information need identified by the National Water Commission, specifically that there is a need for fine-grained understandings of the importance of water reform from other drivers of rural change (eg farmers’ attitudes toward land, superannuation plans, local land markets, the likelihood of intergenerational transfer of the farm business). Erin’s PhD was supported by an Australian Research Council Linkage Grant Rural adjustment or structural transformation? Discovering the destinations of exiting farmers (Grant Number LP0990297). Erin holds a Bachelor of Recreation Management (Outdoor Leadership) and a Master of Applied Science, both from Lincoln University, New Zealand.